Home Premier League Liverpool Which player will become Jürgen Klopp’s first Liverpool signing? 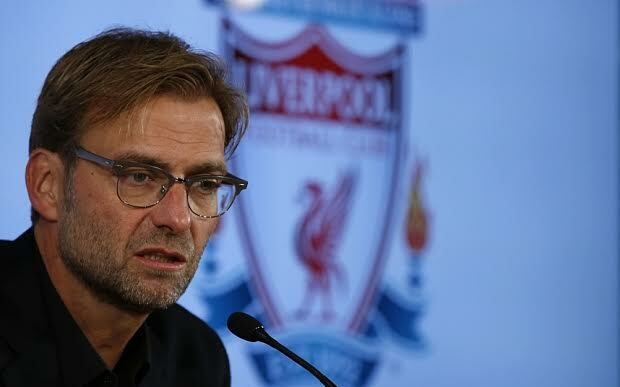 Which player will become Jürgen Klopp’s first Liverpool signing? Many of this morning’s papers are leading with the headline that new Liverpool manager Jürgen Klopp wants to be reunited with Bayern Munich’s goal machine Robert Lewandowski. While Klopp and Lewandowski enjoyed a good working relationship together at Borussia Dortmund let us be the first to say that this is one deal that will never happen as the Polish international is enjoying his football at the Allianz Arena and will never leave even if it meant being able to link up with his old boss at Anfield. Italian website Calcio Mercato is claiming that Klopp is not impressed with current Liverpool No.1 Simon Mignolet and will replace him at the end of the season with either Mainz’s Loris Karius or Bayer Leverkusen’s Bernd Leno. Both goalkeepers are regarded as the best the Bundesliga has to offer, and are both being looked upon as the possible man to replace Bayern’s Manuel Neuer in the German national team. The Sunday Express meanwhile suggest that Napoli midfield sensation Jorginho is top of Klopp’s wish list even though he knows he will have to pay close to £20 million in order to bring the 23-year-old Brazilian to Anfield. Jorginho moved to Italy at a very young age playing first for Verona after coming up through the clubs youth ranks and is described as a defensive midfielder who likes to push forward, and who has remarkably only missed seven days through injury his entire career. Liverpool fans may remember that the club tried but failed to sign Jorginho from Verona back in 2013. One player Klopp may opt for is Swansea’s Andre Ayew, writes Tom Hopkinson in the Sunday People. Klopp twice tried to sign the Ghanaian international while at Dortmund and Swansea is convinced that the German will try for a third time now that he is in charge of Liverpool. The 25-year-old attacking midfielder/forward has admitted in the past that he is a Liverpool supporter, so it would not take much to convince him to move to Anfield. The problem however lies with Gary Monks Swansea, who would like to keep hold of Ayew after having seen him score four goals in the Premiership so far this season. And while it is still early days Reds fans will be anxious to see who he does make his first signing once the transfer window opens in January.